Prof. Geetha N has a bachelor’s degree in Information Science and Technology from RYMEC, Bellary, (VTU, Belgaum) and an M.Tech. in Computer Networks from Visveswaraya Technological University, Belgaum. She also worked with East West Institute of Technology, Bangalore. 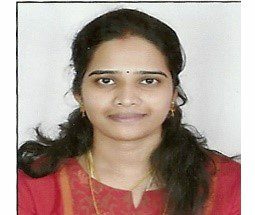 She is now working for a Ph.D. and completed her course work in Student Data Mining from VTU. She has published 5 papers in International Journals and has guided students on their academic projects. She has received 2 awards for Best Academic projects in East West Institute of Technology.